ICFAI Business School (IBS), Hyderabad won a whopping three awards in the 29th year of UK based The Case Centre’s Award and Competition. These annual awards are widely hailed as the case method community’s Oscars andcelebrate worldwide excellence in case teaching and writing. Harvard Business School, with two awards, is the next most successful institution, while other institutions with one award each include Stanford, INSEAD, IMD, Cornell, Oxford, Kellogg, Columbia, ESCP Europe, etc. Clearing a management entrance examination is a great feat and millions of students all over the world hope to achieve this. The competition is very tough and it really takes a lot of effort and preparation to make the cut for the leading business schools in India. A lot of students unfortunately believe that the entrance examination is the only crucial step in the selection process and just because they have secured a good rank, they will get admitted in the B school of their choice. This is not true at all and the students who slack off after their entrance exam results may jeopardize their good rank during the entrance examination. After clearing off the entrance examination, the next step in the selection process is usually the Personal Interview. 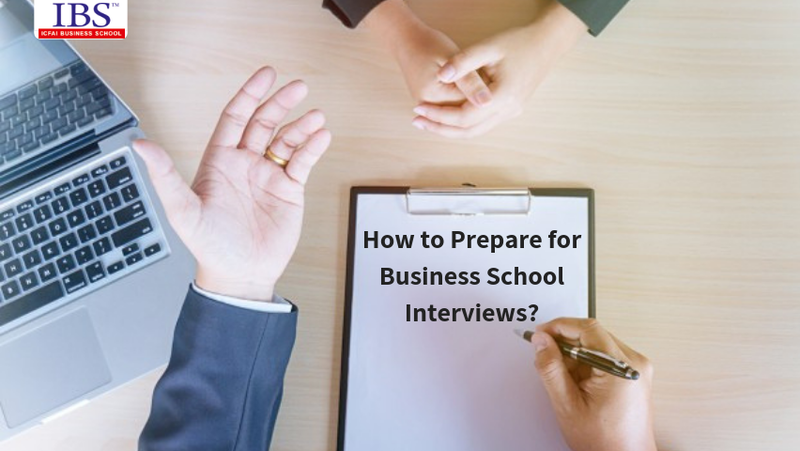 With the Personal Interview, the students can congratulate themselves and be assured that they are moving forward their candidature towards admission in the business school of their choice. There are some specific steps that you can take to perform better in this crucial stage of the admission process. Read the below points to get a few ideas that can turn your interview into a success. Do the research: Look out to gather more information about the business school selection criteria. This will come in handy since every business school has a different identity and selection process. You would like to know if there are any other rounds that are likely to be conducted at the B-school. For example, it is often a widespread practice for the business schools to club exercises such as group discussion to the personal interview process as a method of evaluation and elimination. Some other methods of evaluating a candidate may include simulations, role plays, case studies and extempore. These methods get the B school additional information about the candidates so that they can make their decision. Tell me/us something about yourself? Why do you want to do an MBA? What are you expecting to gain in your tenure at this business school? What made you choose this business school instead of another one? What makes you a suitable candidate to be accepted in this management education? Tell me/us about your weaknesses/development areas? Dress and act professionally: Do take care in dressing up in a suit or a formal shirt and a trouser. This helps you in nailing your first impression and helping you put your best foot forward. You would like to portray yourself as confident, smart and in-control. Do not forget to polish your shoes and wear a mild perfume. Apart from dressing right, it is also imperative that you act in a professional way. Do try to reach the venue well in advance with at least 30 minutes at hand to give yourself time to settle down before you go in. Do maintain good eye contact and smile appropriately throughout the interview since it is a clear sign of confidence. Practice throughout: Once you have everything that you could think of written down on a piece of paper and the clothes ironed and ready, you need to bring yourself to be comfortable in your own skin. For this, the best technique is to practice and appear in mock interviews. The mock interviews can be conducted by your peers and family members but it does make a difference to have someone experienced interview you. This helps in getting the right kind of feedback which you can integrate to make your performance truly impressive. Go over the details mentioned in your CV minutely and try to anticipate the most relevant part that can give rise to challenges as well as winning points. Keeping in mind these points, the students can prepare to get in the most prestigious and top business schools in India such as IIMs, XLRI, SPJIMR, IMT Ghaziabad, ICFAI Business School etc. Since this is something at which you only get one chance to succeed, prepare well and give it your best shot. It will not be far from truth to call business schools an epitome of modern education. Usage of cutting edge technology, plenty of highly competitive schools and students, experimental subjects and specializations, and an interesting variety of curriculum, all contribute to this. Although these factors contribute to make management education a rich field to experiment and learn, it also makes it increasingly challenging for the students to choose the right business school. The students must factor in a lot of things to choose a business school that is aligned to their interest and can support their aspirations. To be fair, most of top business schools in India such as IIMs, XLRI, IMT Ghaziabad, SP Jain, Symbiosis, ICFAI Business School etc. do a more than adequate job of accommodating the students’ aspirations while maintaining great standards of education. 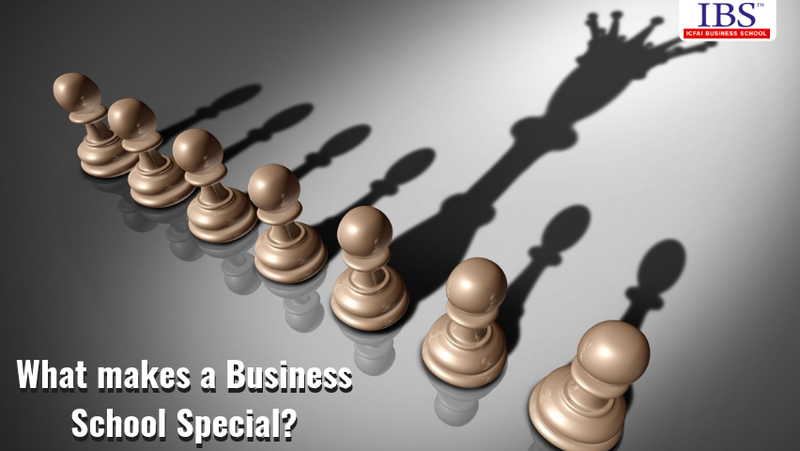 To understand what makes a business school stand out from the crowd or in other words “special”, they need to understand the various aspects of the business school and what all things to look for when choosing a business school. All these things come together and must be weighed to understand the effect they have on the quality of B School experience. Here are a few things that can transform a B school from good to great. Curriculum: Curriculum is something which can vary a lot among business schools, due to the flexibility that most business schools can exercise. The academic experience revolves around it and a well-balanced curriculum is a big requirement for having a robust MBA, PGDM or PGPM course. There is also an increased need to have the curriculum calibrated to the industry requirements for the students to develop industry relevant skills and knowledge. The curriculum should also be flexible to accommodate associated learning as well as allow some breathing space for the extra-curricular activities. An integral part of curriculum is also the methodology applied by the business school to approach the learning based on the curriculum. A great business school will find more interactive and engaging methods to approach learning the curriculum instead of the boring lecture style approach. A good example of using interactive learning in classroom is the case based learning method of ICFAI Business School. Infrastructure: The infrastructure of the business school can be a pivotal point in facilitating learning. Although the infrastructure is not the direct part of the academics, it does affect the student experience a lot. The infrastructure can help create an environment in the business school campus that is conducive to learning. This is done through creating top notch facilities with collaboration of information technology to create spaces such as interactive classrooms, fully functional computer laboratories, a well-equipped library, spacious and clean classrooms, and comfortable living space at the hostels. The infrastructure also includes the shared spaces for extra-curricular activities such as auditorium for dramas and skits, courts and grounds for games, and greenery at the campus through well maintained lawns and gardens. Student Community: The student community is an important part of business school experience to consider. While this is not one of the things that someone can simply check from the outside, a fair idea is usually given about this on the website of the business schools. The future classmates as well as the culture of the business school can make your time in the business school amazing or awful. A few things to look for in this regard are the frequency of the student events, the type of discussions or behaviors around the campus, the attitude of the fellow students etc. Location: The location of the business school is also an important consideration to be given while determining if this is the right school for you or not. While it is important that the campus of the business school should be situated in an area which is open, spacious and free from noise, it is also desirable to be closer to the business hubs. As you would be spending the next few years on the campus, you can use this opportunity to make powerful networks and links with the local business community. These are only possible if the campuses are located around the business hubs of the country. This also enables a lot of interaction with visiting faculties, industry experts and business firms which may result in easier internships or even support in placements. Reputation: Reputation of a business school is not only related to the ranking of the school but it also extends to ‘how is the standing of that school in the business world’. The reputation of the school is a must check since the name of this business school would be associated with your name for a long time. To check about the reputation of the business school, detailed research needs to be carried out either firsthand or through internet. Independent sources must agree with the claims that the school makes about the standards. Choosing a business school for yourself can be a daunting task but with careful and objective approach, it can be made easier. 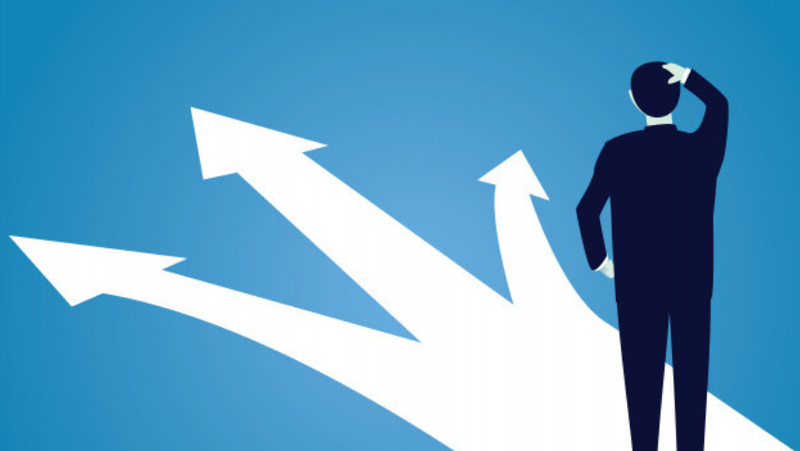 The business school experience can add some of the best years in a student’s life, but managing the expectations must be done beforehand to avoid any regrets later. Management education is an experience that prepares the students for a bright and ambitious future in the years to come. As the MBA/PGDM/PGPM aspirants gear up to appear in the various entrance exams and test for admission in the top business schools in India, a lot of factors must be kept in mind when choosing the right business school. A big misconception that a lot of people have is that all business schools have a great offering for students in terms of both education and placement. The truth is that the business schools have a wide array of specialties and even the business schools of equal standing which are offering the same specializations, may have a completely different pedagogy than another. Appreciating these differences in the business schools is vital so that you can make the right choice and prepare for the entrance process that will get you in the right business school where you want to reach. Strong Industrial Relations: The ICFAI Business School is known for the strong interface that it maintains with the industry which gives the curriculum the much-required focus on the applicability of knowledge in the management program. This ensures that the ICFAI Business School, students do not face challenges of having knowledge that is half cooked and now feasible in the practical world outside. The industry inputs also enable ICFAI Business School to maintain the agility of the curriculum and its delivery so that the education is relevant in not only today’s world, but also has value in the foreseeable future. At ICFAI Business School, various experts from organizations which are leading in their field are invited to dispense their perspective and experiences in form of guest lecturers for the benefit of the students. Case Based Learning: ICFAI Business School is one of very few management institutes which has integrated the case study based approach as a primary method of instruction. 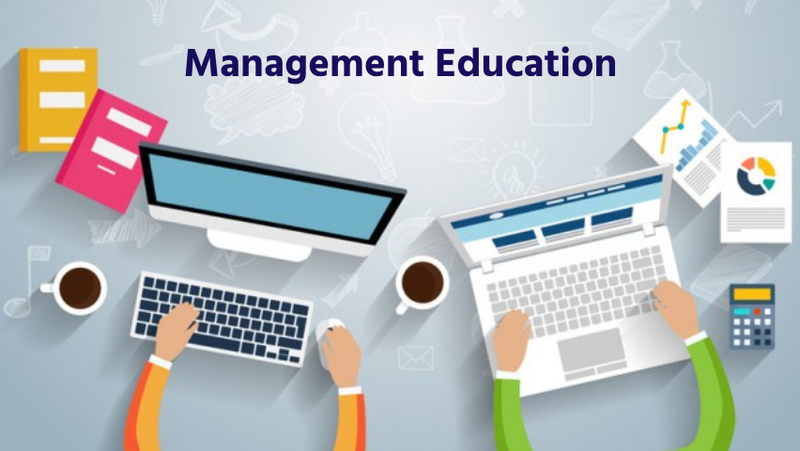 The management school has a dedicated Case Development Centre (CDC) which has the largest repository of management case studies in the entire Asia Pacific. At ICFAI Business School, there are even a few courses which are taught only through the usage of relevant case studies which are tailored to suit a vast array of management subjects. These help the students in developing a pragmatic, analytical and solution oriented approach while keeping the real world challenges in the picture. Leadership Development: The leadership development at ICFAI Business School is given a lot of importance since the B school prides itself in producing the corporate leaders of tomorrow. This is achieved through a combination of case based learning and increased focus on the soft skills of the students. While the case based study method puts the students in the decision maker’s position, the soft skills help the students in working on all aspects of their professional image and their working style. This helps in students growing beyond academics and increases the success rate of the students once they enter the professional world. Extracurricular Activities: The students at ICFAI Business School do not only make use of the development opportunities in the academic front but also help in the overall development of the students through various extracurricular activities. On one hand, these activities provide the students a great platform to build their social skills and confidence, while on the other hand they provide a break to the students from the routine life at the business school. The students learn to host and manage events, work with other people and teams, understand challenges of leadership firsthand, and work of their Emotional Intelligence in a real-time basis. Alumni Network: ICFAI Business School has a wide spread network of alumni who have taken lead in many industries and have worked with some of the most prestigious companies of the world. This network of alumni provides the students the opportunity to connect with other ICFAI Business School alumni and gather valuable perspectives and leverage contacts to achieve greater success in the world. ICFAI Business School organizes the alumni meets giving the students the perfect platform to do so. The ICFAI Business School ticks a lot of boxes when it comes to providing its students with a quality education worthy of making it one of the leading business schools in India. The ICFAI Business School advantage can give the students a great platform to firmly establish themselves in the business world. 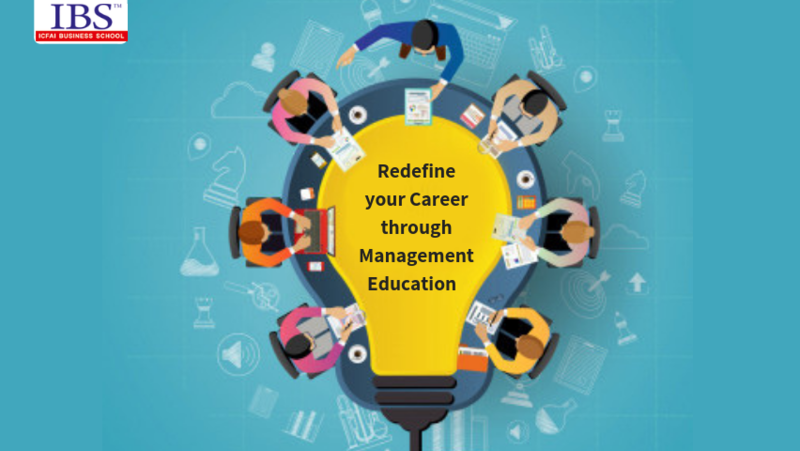 A combination of innovative yet effective study methods, a robust curriculum and a focus on the overall development of the students makes management education at ICFAI Business School a truly unique experience. 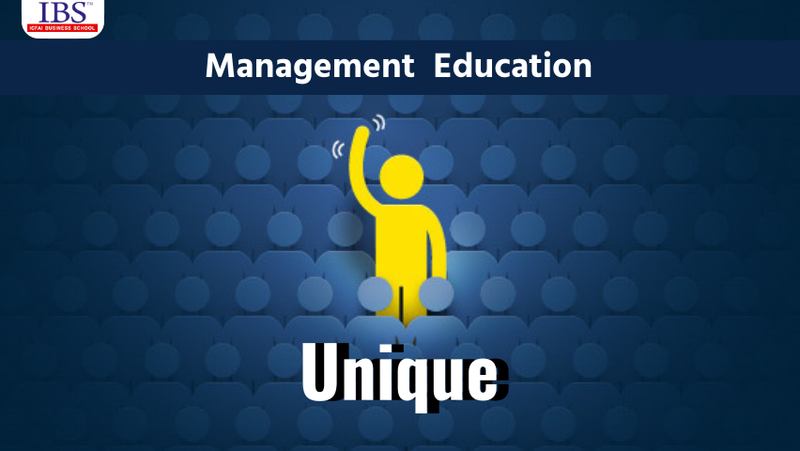 Management education is arguably the most sought after field of higher education today in India and the world at large. The field of management is constantly evolving with great opportunities and therefore it attracts many of the young minds who would like to make their mark in this lucrative field. The attraction of the management education therefore knows no bounds especially in India where the other field of work have limited prospects. At the pinnacle of the management education we have the most prestigious and top b schools of India. To kick-start the management education and subsequent career for the students, one of the biggest challenges is getting selected in the right B school. For this purpose, the aspirants must prepare for one of the competitive examinations known as the management entrance test. There are many management entrance examinations and tests that are carried out in the country with different formats, different difficulty levels and giving entrance to different business schools. 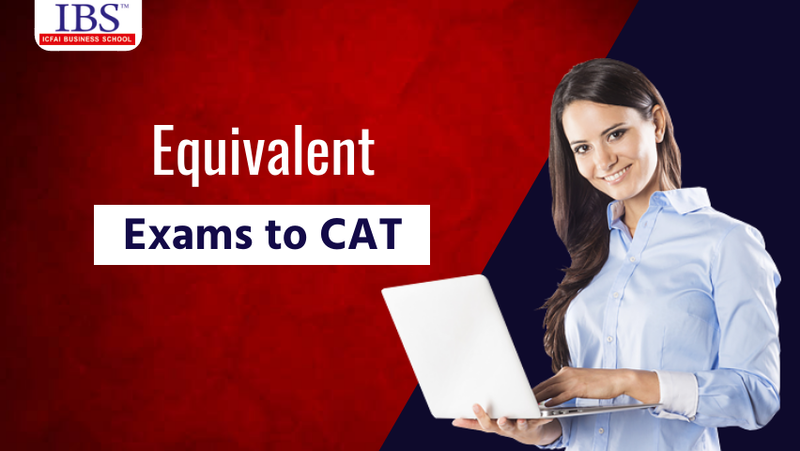 One of the most widely accepted and therefore sought after management entrance examinations is CAT which is conducted by the Indian Institutes of Management. The CAT helps the aspirants secure admission in not only more than 20 Indian Institutes of Management but also in many private and government educational institutions. Apart from CAT, there are many more entrance examinations which can help the students start up their management careers which follow similar format and have similar eligibility criteria. Some of these exams are GMAT, NMAT by GMAC, and IBSAT. Each of these have their own advantages that the students can leverage to maximize their chances of starting their management education and subsequent careers. Conducted by the Graduate Management Admission Council (GMAC) the Graduate Management Aptitude Test (GMAT) is a globally accepted management entrance examination which the students can take. The GMAT can be attempted whenever the students feel ready since it is conducted many times in the year. All the students must do is register for GMAT and select the next exam date that is coming up along with the test center. Being a computer adaptive test, the format of GMAT differs from many other management examinations. The duration of GMAT is 3.5 hours with a total of 80 questions that the students can score. The various sections of the GMAT test are Verbal Reasoning, Integrated Reasoning, Quantitative Reasoning, and Analytical Writing. The eligibility criteria for the test are also relaxed since the student is only required to produce a valid passport of a country, while the other eligibility criteria can be checked by the respective management institution at the time of entrance. The test scores would be valid from five years of taking the examination and the results can be received instantly at the end of the test, while the official marksheet takes about 20 more days. The GMAT can get the students admission in many top business schools of India such as IIM Ahmedabad, IIM Bangalore, IIM Calcutta, XLRI Jamshedpur, FMS Delhi, IMT Ghaziabad, ISB, MDI Gurgaon and ICFAI Business School. The IBSAT is another top level management entrance examination that is conducted once a year by the prestigious ICFAI Foundation for Higher Education. The test dates are coming up in December, 2018 soon. 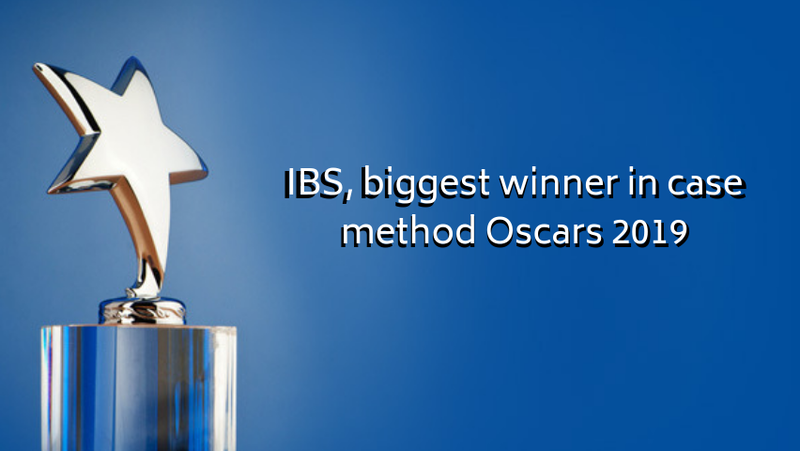 The format of IBSAT is like CAT with various sections of 140 MCQ (Multiple Choice Questions) to be answered in a computer based test within two hours. The IBSAT measures the student’s aptitude in areas such as quantitative techniques, data interpretation, data adequacy, vocabulary, analytical reasoning and reading comprehension. One of the biggest advantages that students can have while attempting IBSAT over other management examination is the provision of no negative marking. Success in the IBSAT test makes the students eligible for taking admission in the various campuses of the ICFAI Business School which can be a great platform to start a management career. NMAT is a management exam conducted by the Graduate Management Admission Council (GMAC), which also conducts the GMAT. Within each cycle of admissions, the students can attempt the GMAC up to three times and the highest score of the student will be considered for the entrance. This helps the students become more confident since they get more than one attempt for the same test. The test has 120 questions to be attempted in the areas of Language Skills, Quantitative Skills and Logical Reasoning Skills. The NMAT by GMAC scores are admissible in management institutes such as NMIMS University, ICFAI Business School, Alliance School of Business, Amity Business School etc. SNAP in another national level management entrance examination which is conducted once a year by the Symbiosis International University. The SNAP test is a computer based test of 130 questions which are Multiple Choice Questions and Special Questions. These questions are divided in four sections and need to be completed in two hours. The students can get admission in around 15 management institutes including the ones operated by the Symbiosis International (Deemed University). Xavier’s Aptitude Test also known as XAT is administered by XLRI Jamshedpur on the behalf of Xavier Association of Management Institutes (XAMI), and is immensely popular with the estimated 90000 aspirants every year. The scores of this computer based test are accepted at more than 150 business schools. The test duration has recently been reduced to three hours, with removal of essay type questions. The test also has negative marks allocated for incorrect answers. With no age limit and no cap on the number of attempts one can take at the exam, the XAT does see a of candidates with the eligibility criteria of having completed 3 years of graduation. Although CAT has become synonymous with the management education in India, there are many tests that can help the students gain advantage over their competition and success in starting off their careers. A good strategy for the students would be to maximize their opportunities by taking advantage of these entrance exams and embark on the journey to the top business schools of India. How technology is a part of Management Education? India is coming up as an education hub and management education is among one of the fields having the highest demand. Since the management education gets more varied, the education providers are evolving with unique ways of leveraging the infrastructure that is available. Students these days have the advantage of choosing the right b school which matches their career aspirations, field of interest, and learning style. The business schools on the other hand are also coming up with new ways to upgrade their curriculum to match the business demands of the industry. When it comes to the methods of teaching also, the business schools have integrated elements of the modern society to ensure that their curriculum is appealing to students and relevant to the industry demands. Technology has played a big part in this area bringing a lot of ways to add life to the educational content and instructional design. Accommodating the change in learning behaviour: Gone are the days of the classrooms with rows of students with their heads in the books, diligently listening to a professor who in his/her monotonic vice goes through a two-hour lecture. The students of today want to be educated at their own pace and gathering information through various sources to augment and find the best possible solutions to business challenges. To enable that, the modern classroom uses technology to make the course content more interactive and discussion based. A good example of this is the usage of innovative learning methods such as simulation programs and exercises in the classrooms to look at a real-time impact of business decisions. ICFAI Business School utilizes this through simulation software in their classrooms with great success, and this aids in developing the next level leadership skills. Facilitating business forums: It is an important part of the student’s life at the business school to make the connections with the peers and industry experts. These connections can often be fostered through the interaction over the professional forums and groups. The modern business schools achieve this through creating an open online communication group for the students. This helps in getting the student involved in not only academics but also other facilities such as library, hostel, facilities, placements, accounts and other aspects of campus life. A real-life example of this comes in form of the intranet maintained at ICFAI Business School called CampusNet, which is aimed to provide that. Greater tools for the students: The students at the top business schools in India not only get a quality education but also some great technological tools at the campuses to make the most of their learning. The tools are not just limited to the regular set of Microsoft Office suite for processing of Word, Excel, or PowerPoint. They extend to the whole array of cutting edge data network to leverage databases and videoconferencing as well as Adobe suite of PageMaker, Acrobat and Photoshop and others. Other tools include programming tools and with the big data taking the world by storm, some advanced analytics programs. These enable the students to work on projects while acquiring hands-on experience which can be relevant in the real world. Better academic experience: The academic experience in the top management colleges in India is enriched with the help of usage of integration of web based learning being augmented with the classroom based learning. This Blended learning model where the web based courses are often self-paced and can be taken by the students in the comfort of their laptops and environments are becoming a common sight. The students are usually required to complete these courses as reinforcement before or after they have attended the classroom learning. Online quizzes can also be used by the faculty members to get a quick check of the student’s comprehension and understanding without waiting till after class. This also breaks the monotony of the lecture and gives the students an increased focus. These are a few important points of how technology is integrating with the academics to transform the way that the business schools and the students are used to approach the learning itself. The technology is coming up rapidly as a powerful enabler, facilitator, and administrator of the curriculum at leading business schools in India. Now that you have already appeared for the most popular Management Entrance Examination of India, Common Admission Test better known by the acronym CAT, you must be wondering about what should you be doing next. As you wait for the results which are due in the first week of January 2019, you can catch up on the much-deserved rest and family time after the rigorous preparation done for the CAT. CAT is a highly sought-after test which opens the door of a promising career in the field of management for many students every year. The CAT is conducted by the Indian Institute of Management (IIM) for admission to the 20 IIMs spread across the country and the scores are acceptable at more than 100 top business schools in India, including SP Jain Institute of Management Research (SPJIMR), Management Development Institute (MDI), Institute of Management Technology (IMT) and ICFAI Business School (IBS). The CAT is spread over three hours and has 100 questions, consisting of Multiple Choice Questions (MCQ) and non-MCQ. Around 2.5 lac aspirants from around the country appear for CAT every year with the hope of kickstarting their management education. GMAT is a management admission test which is internationally recognized and conducted by the Graduate Management Admission Council (GMAC). It is accepted at the most top management institutes of India and in more than 80 countries of the world. The GMAT is a computer adaptive test which needs to be completed in 3 hours 30 minutes, with four different sections with a total of 80 questions. The sections covered in this test are Quantitative Reasoning, Verbal Reasoning, Integrated Reasoning and Analytical Writing. Holds a valid passport on the date of the exam. Must satisfy the eligibility criteria of the respective university or institution for which the aspirant decides to apply. The examination does not have a set examination date and can be applied for anytime that the student feels ready to take the test. The test center and date can be chosen at the end of the application process. The unofficial score for the test can be obtained at the end of the test while the official score will be made available after almost 20 days of the exam. The test scores are then valid for 5 years. If you would like to use the preparation done for the CAT exam to good use, a GMAT test can be a great option since it is accepted in top B schools in India such as ISB, IIM Ahmedabad, IIM Bangalore, IIM Calcutta, XLRI Jamshedpur, FMS Delhi, MDI Gurgaon, and ICFAI Business School. After CAT, IBSAT is the upcoming big management exam opportunity coming your way. IBSAT is conducted by the ICFAI Foundation, conducted once a year and coming up in December, 2018. This is a great platform for the management education aspirants, since the scores of this test can be considered not only for all the IBS Campuses, but also for management institutes such as Adarsh Institute of Management and Information Technology (AIMIT) Bangalore, GIBS Business School Bangalore, FMS- Manav Rachna International Institute of Research and Studies Faridabad, JK Business School Gurgaon, VYASA Business School Bangalore. The IBSAT is a computer based test and has 140 multiple-choice questions (MCQs) divided into four sections which need to be cleared in 2 hours. There is no negative marking unlike CAT and this can be a big helpful reason for students to maximize their scores. NMAT is another popular admission test for entrance in top management institutes of India, conducted by the Graduate Management Admission Council (GMAC). The scores of this test are accepted in NMIMS University as well as 25 other B schools in India including ICFAI Business School, Alliance School of Business, VIT Business School, SRM University, Amity Business School and many more. The NMAT has 120 questions of the Multiple Choice Questions (MCQ) format and spread over three sections – Language Skills, Quantitative Skills and Logical Reasoning Skills. The test dates for 2018 has passed however it is a great option to consider for future if it suits the ambitions of the aspirant. The benefit that the students get with NMAT, which they do not get with any other management exam is that, within the admission cycle they can take the test up to three times and their best score will be considered for the admission. This helps in building confidence and is beneficial for students who may get nervous and may not be able to perform their best in a single attempt. Apart from all these, the CAT aspirants can also spend their time in preparing for the next steps of the admission procedure, such as personal interviews and group discussions. Also the aspirants can use this time to research more about the management college of their dreams and read about the top business schools of India. The CAT and other management tests can serve as a great beginning of their careers. A great way for anyone to improve themselves in their pursuit of excellence is to develop habits that make them more efficient and effective in their lives. The power of habits can be well explored by studying about the lives of successful people through the ages where you can see how a habit contributes to the success of the person. To create a scope of success in one’s life, the most powerful habit one can inculcate in themselves is reading. Reading helps in acquiring useful information, gaining powerful ideas, inspiring stories, and developing deeper insights on every subject under the sun. Since time immemorial, reading has been the prime mode of people interacting with the unseen world and abstract ideas that can change the course of someone’s lives. Reading the newspaper and business publications can apprise the aspirant of the changes taking place in the business and social world which can give them greater business and social awareness. Reading books that are about business can prepare them for the future management education and careers. These can help create an interest about subjects taught later in the business school. Reading newspapers can help the students develop strong social and business viewpoints for the group discussions and personal interviews which are a part of the selection process of most business schools. The words that are learnt while reading can expand the vocabulary of the students, which can help while the vocabulary type questions appear during the entrance examination. Reading improves comprehension, and thus the reading passage and comprehension exercises which are part of the entrance test become much easier for students who have developed the habit of reading. Reading builds personality and books such as biographies or autobiographies of great people inspire the students to make their lives extraordinary through great deeds and decision making. The good linguistics involved while reading the books work on the communication skills of the students and help in getting better at English. Developing a reading hobby can help you engage your time in a meaningful pursuit instead of wasting it on time wasters that do not add value to your aspirations. Reading as a hobby can come across as an intellectual pursuit and can help you build rapport instantly with interviewers, professors, and older colleagues who are more likely to have reading as a common interest. Create reading time in your schedule: When it comes to reading as a hobby to be built up, the business school aspirants are advised to create a schedule with dedicated timing for the schedule. It is recommended to choose the reading time according to their comfortable hours, either early morning or late night. Start with something you like: If you are not used to reading, then you may develop this as a habit by starting off with something that is in your comfort zone. It will help you in generating interest, and reading of even “light” literature is helpful in building momentum to start you off in the right direction. Don’t limit yourself to physical books and magazines: Although physical books are a great companion for anyone with the reading habit, a great number of reading materials are available on the internet. Many books have kindle variants which are priced lesser and many are available off the web as e-books. Apart from the books, there are also excellent reading websites such as HBR (Harvard Business Review), Forbes, Bloomberg Business, Wall Street Journals and viewing TED Talks can add value to the education. Prepare a list: Make a list of books that can help you gather knowledge about the domain that you are interested in. Without a clear focus you may end up reading a lot of books without getting you the desired results. Work on reading speed: A good tip shared by many experts in management exams is for the aspirants to improve upon their reading speed. This will help them save the precious minutes during the reading passage exercise in the entrance tests. Read a variety of business literature: Apart from reading business literature, the aspirants should also attempt to work upon some case studies to get a feel of how a business school experience is. A great starting place is case studies such as the one available at Case Studies Development Centre of the ICFAI business school. Developing a reading habit provides the MBA aspirants a huge opportunity to work upon themselves and prepare for the demanding life of leading business schools in India and beyond. It is highly recommended that the business school aspirants use it to their advantage. The reading habit can be a good friend and a faithful companion on the journey to a bright career. The management education has been constantly evolving and in the past years the avenues have opened for the best B schools in India to get creative. This involves employing some very creative and experiential methods of learning which make the students tread the learning curve in an accelerated pace. It is quite different from traditional classroom learning which relies heavily on lectures and which does not involve the students by providing only one-way communication. To effectively maximize the learning that is taking place in a classroom, the modern faculty members resemble very less like the traditional professors with a lot of knowledge but rigid teaching methods. The modern faculties in contrast work through facilitation of a thought process for the students to apply their intellect and create a shared understanding amongst students. To achieve this, the modern-day faculties of leading business schools in India use methods such as guided discussions, project works, problem analysis and case studies. This prepares them for real world challenges that are waiting for them once they cross over and take assignments in the corporate. The students develop the methods of applying the theories and principles that they have learnt in the classroom and understand the impact that they make in various situations. To achieve this in a classroom, using case studies has become a very popular and useful method of instruction for both, faculties and students alike. Cases involve decision making scenarios or problems which are required to be solved. They may also involve a review of policies or procedures. Most case studies are based on real life scenarios to create a sense of relevance to the education of the students. These become effective tools by providing a platform to develop application of their learning. 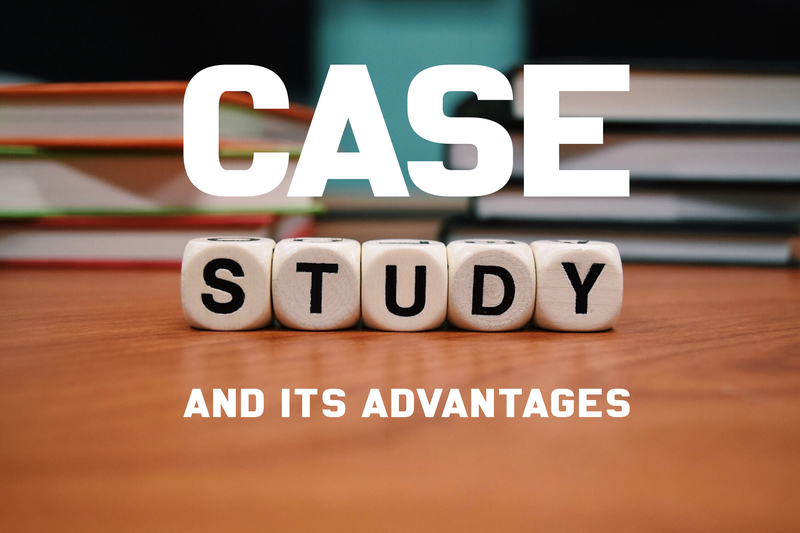 Case studies method was originated in the business and since the cases are based on real-life, they make the abstract concepts learnt in classroom come alive. The case study requires discussions among the students in large or small groups; therefore, collaborative learning takes place. The social nature of case studies enables the student group to explore the different and sometimes opposing views of a case, and work towards a solution working with the information provided in the case. Cases are an effective tool for the students to develop an objective and analytical bend of mind and therefore they make an excellent tool for helping the students grow intellectually and clarifying the fundamentals of a subject. Many times, the cases present diverse views with no single right answers. This provides an excellent stage for considering morally or ethically ambiguous angles of a subject and help the student appreciate the different parties of the case. Higher learning engagement than traditional form of learning. It generates a lot of interest among the students and gets them more involved in the learning. It is active and leads to introspection within the students. The result of the case study provides a student with instant validation to their learning. The doubts and unresolved queries that the student have, can come to surface and the students may be motivated to find their own answers by taking part in the case study and follow up discussion. Mirrors the real world, by running simulations and scenarios from the real corporate world. The case studies help the students build their prospective and develop the rational way of operating in the real world. Includes group work and therefore builds skills such as conflict management, assertiveness, communication, collaboration and decision-making ability and skills. To include the case studies in the curriculum the faculties are usually inclined to use case studies as a method of reinforcement or evaluation post a module, as a quick reiteration of the lesson that has been learnt. The faculties also need to develop their own case studies which deal with the matter at hand or lesson. A great alternative to this is to find a relevant existing case study that helps the faculty drive home the point. An excellent resource for this purpose is the ICFAI Business School Case Development Centre which is Asia Pacific’s largest repository of case studies and teaching notes with the count reaching up to 5500. These include the most selling cases, specifically designed to be applied in the MBA/PGDM/PGPM program and has real world scenarios. They also have structured assignments at IBSCDC, which is a very innovative product. Case studies can help the students grasp the subject matter with ease in a short and concise manner without losing the essence of the session. They build interactivity and energy in the classrooms of the top management colleges in India. That is the biggest reason of employing case based learning while preparing the students of today to become excellent management professionals of tomorrow.